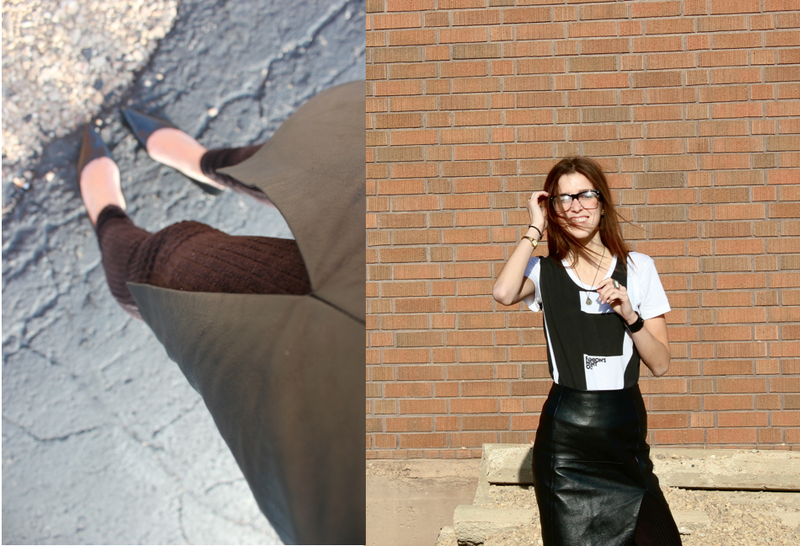 Look Sharp, Sconnie - Midwestern Fashion Nerd, Chronic Over-thinker: Unconditional Love and Leggings. I'm missing New York now more than ever. Which is not to make light of the recent tragedy- only to say that the devastation makes me wish that I were part of what is proving, once again, to be an inspirationally tight-knit community. Doesn't it seem like all New Yorkers harbor this inherent connection? Like, despite the animosity and hardened exterior with which they continually self-identify, they're really just members of one slightly dysfunctional family? And isn't that the definition of love? Sticking with an obsession through thick and thin? And this t-shirt is my attempt to never be parted from you from this day on. i'm SO with you on this post, it's ridiculous...i mean. like you, i love the midwest. all my time living in the US was spent living in wisconsin (and i went to college in illinois, then madison). my hubby and i had two of our three kids in madison, and just this summer we decided we'd buy a house there again (we sold after moving to hong kong). but, my sisters live in NYC. we go there EVERY summer, for long enough to know our way around, etc. to be a part of NYC. and, i think in part of my heart, i'm a new yorker...or i want to be. so, yes. i'm with you. and my sisters. glad that they're okay...mostly.